Garden Patio Blog: Umbrella Fabric? You're in the market for a new patio umbrella and noticed all the different fabric options available. This article will cover the different types of fabric so you can choose the best for your area. 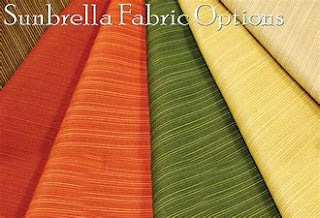 Sunbrella is a brand of fabric and considered the best available is a heavy duty solution dyed acrylic fabric with locked-in colors. Sunbrella only allows 2% of UV rays through, which is equivalent to SPF 50 sun lotion. Stands up to sun, wind, and rain without fading retaining its beauty for years. Mildew resistant as long as there is no dirt, food, or organic matter on the cover. The color is guaranteed not to fade for three years. Suncrylic is a solution dyed acrylic fabric has a high degree of UV protection, water resistance only has a one-year fade warranty. 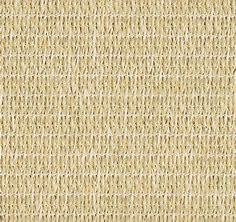 SunDura is a yarn dyed fabric, good UV protection, quick drying, abrasion resistance one-year fade warranty. 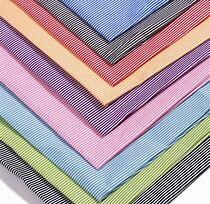 Olefin is a high-density, lightweight, solution-dyed acrylic fabric that has good UV protection, resists staining. One-year warranty against fading. Texsilk is a brand of olefin fabric has good UV protection, mold, mildew, fade, and water-resistant, machine washable. One-year warranty. A man-made fabric that is light and breathable are economical, but is not water and fade resistant. Most are Scotchgard treated to help reduce fading. Lighter colors seem to last longer and they are flammable. Coolaroo is a unique high-density knitted polyethylene fabric, provides up to 90% UV block and reduces temperatures by 30%. This breathable fabric is resistant to mildew, cleans easy and has a five-year warranty against UV damage. There is also vinyl, cotton, and plastic covers which are the cheapness. The decision you make on the fabric will establish the durability and attractiveness of your umbrella and will affect the cost also.